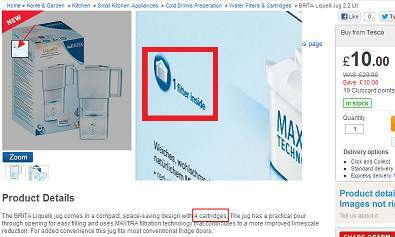 seems cheap for a brita with 4 cartridges included. 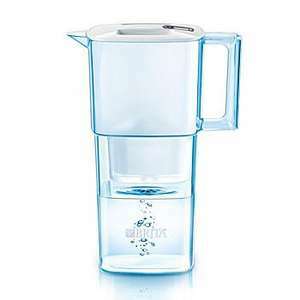 The BRITA Liquelli jug comes in a compact, space-saving design with 4 CARTRIDGES. The jug has a practical pour through opening for easy filling and uses MAXTRA filtration technology that contributes to a more improved limescale reduction. For added convenience this jug fits most conventional fridge doors. Might want to edit your price under the "go to deal" unless it's 10p? 4 cartridges are worth 10 quid alone, tesco misprice probably. Or more likely it only includes 1 cartridge. Maybe "1 filter inside" ?.